The Window Wise range of Residential Doors are available as opening in or opening out and are manufactured to the latest in high security standards. 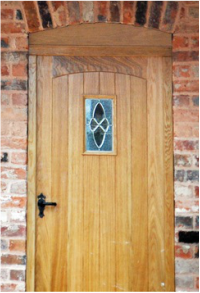 Whether you are looking for a new front door to add character to your home or replacing existing doors, we are sure to have a solution. Our products are designed to match perfectly with our window range to create a co-ordinated appearance for your home. With matching sidelights to let in more light, decorative glazing options, handles, letterboxes and knockers, you can personalise your front door to welcome your visitors in style.